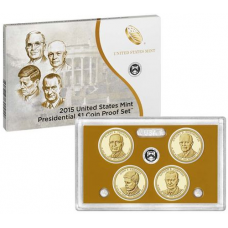 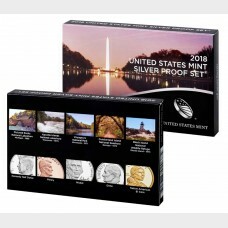 This set features all three 2016 Presidential $1 proof Coins. 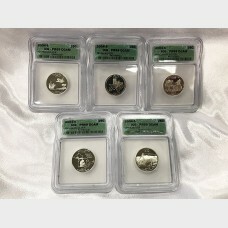 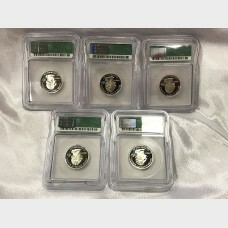 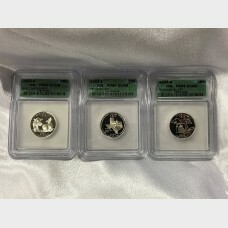 U.S. Mint proof coins feature sharp re..
Set of five 2004-S Silver State Quarters (Florida, Texas, Wisconsin, Michigan, Iowa).Graded by ICG P..
Set of three 2004-S Silver State Quarters, including the states of Wisconsin, Texas, and Michigan. 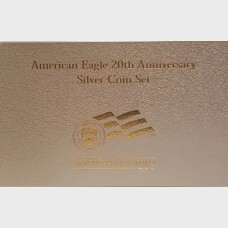 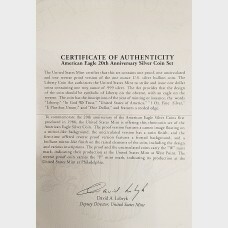 G..
2006 Silver American Eagle 20th Anniversary three coin set. 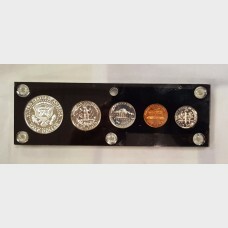 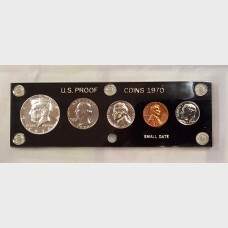 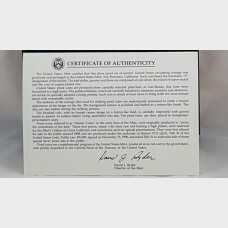 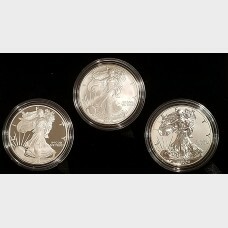 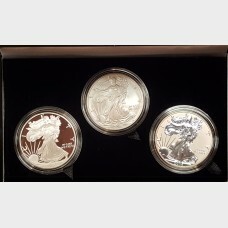 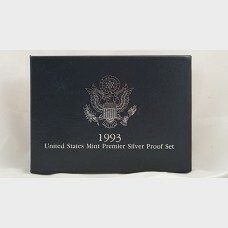 This set includes the 2006 Proof made at.. 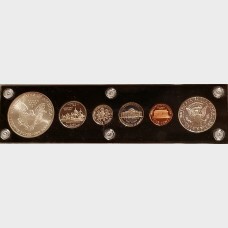 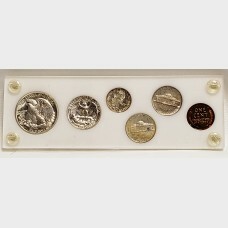 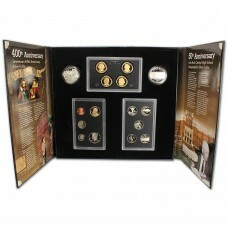 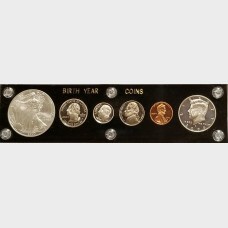 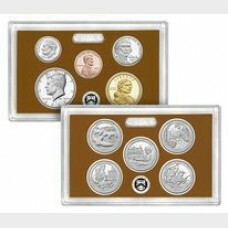 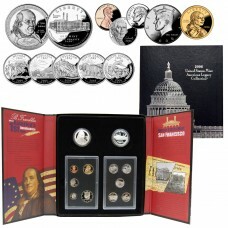 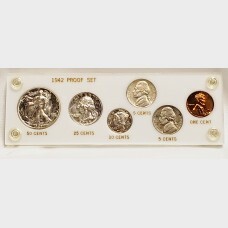 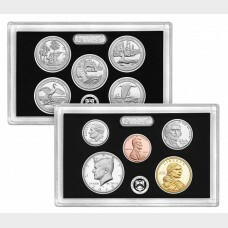 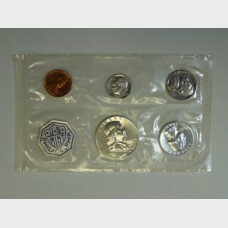 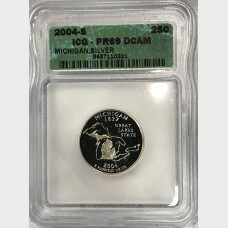 This American Legacy Collection Proof Set contains the 10 standard proof coins from 2006 along with .. 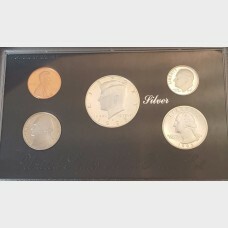 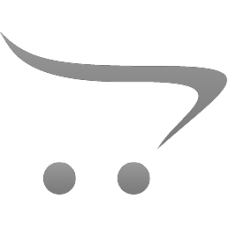 This is the 16 coin collection version on the Legacy Set for 2007, it includes Proofs of the followi.. 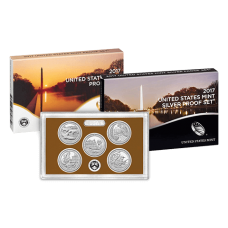 The 2018 United States Mint Silver Proof Set features 10 proof coins encased in two clear plastic le..